Back to Natives has experienced staff that can provide your organization with presentations, workshops and classes on a variety of topics. 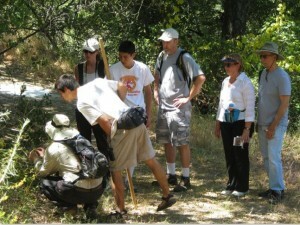 We have years of experience leading hikes and walks. Need a speaker? Complete this online form! 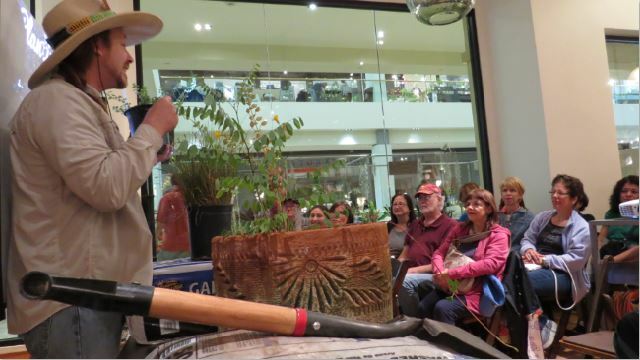 Biodiversity and Why We Care! Travel Cost: a $35 fee will be charged for locations within 10 miles of the BTN Nursery in Santa Ana. An additional $1.00 per mile fee (round trip) will be charged to locations beyond 10 miles. 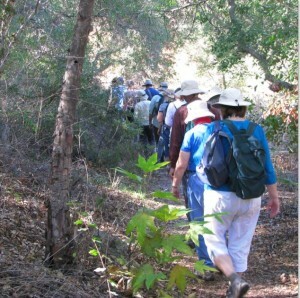 Travel Cost: No travel cost if program is scheduled for Santiago Park Nature Reserve in Santa Ana. $35 minimum travel fee everywhere else. No additional mileage fee will be charged for locations within 10 miles of the BTN Nursery in Santa Ana. A $1.00 per mile fee (round trip) will be charged to locations beyond 10 miles. The following classes are offered to groups, but also occasionally to individuals through our education program. Check our website for upcoming classes, or join our email list to be informed of upcoming programs. 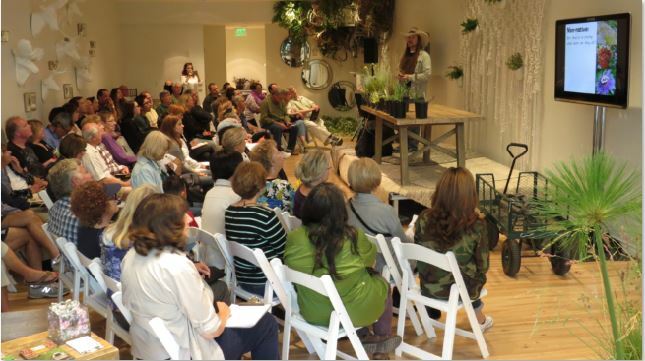 To schedule a class for your group, email us. 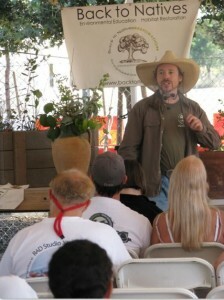 Native Plant Propagation Class. 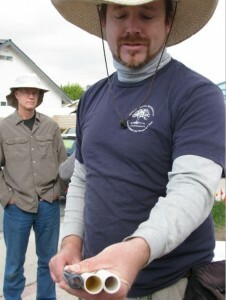 Participants will learn which native plants propagate best by seed, cuttings, layering, and division, and examine unique methods for mimicking nature’s scarification process. The biology, anatomy, history, and use of these propagation techniques will also be covered, briefly. 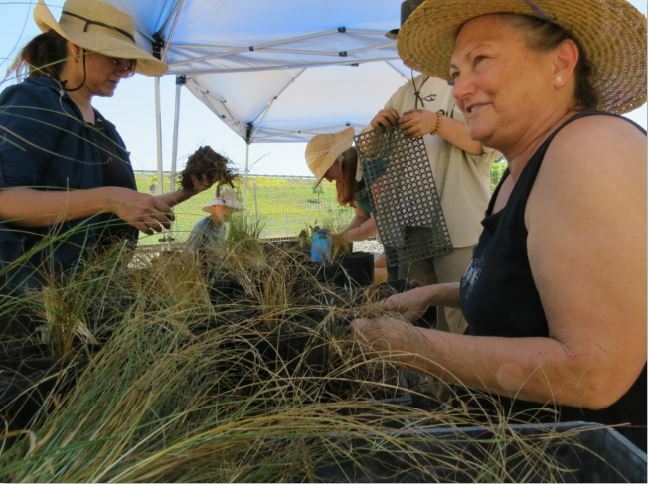 Each week for ten weeks students will accompany Back to Natives staff on a visit to the Back to Natives Nursery at Santiago Park where they will help propagate native plants for use in habitat restoration and environmental education projects. $60/10 Weeks. 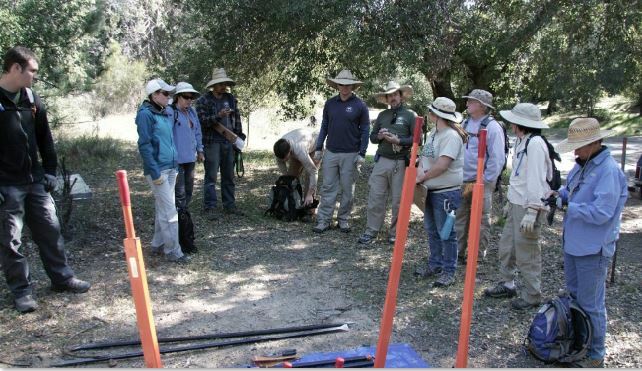 Restoration Volunteer Training: Back to Natives Restoration can provide training and recruitment for restoration volunteers for your organization!. We will educate volunteers in dry restoration practices. Dry restoration is weed abatement and seeding where applicable, as water is a scarce resource. 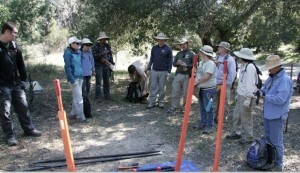 Each training session will focus on specific aspects of the restoration process from rudimentary tool identification and tool and trail safety training, to non native weed identification and native species identification, proper site entry/exit protocol as well as mechanical/physical abatement techniques to reduce soil disturbance and possible weed seed germination. “If you don’t know it, don’t pull it! Current Clients Include: United States Forest Service, Trabuco Ranger District of the Cleveland National Forest. 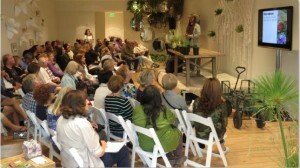 To schedule a training for your group, email us. 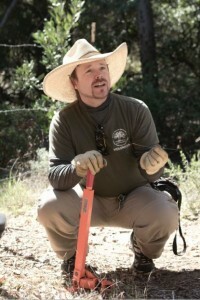 Habitat Restoration Consulting. Let Back to Natives assist your organization with habitat restoration with research and development of an historically accurate and location appropriate species list. For habitat restoration consulting, email us. Native Plant Landscaping. Water conservation and costs of garden maintenance are turning most people sour towards lawn and gardens. 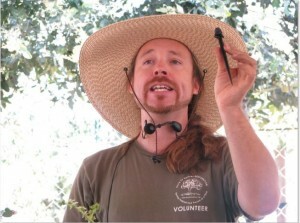 Let Back to Natives examine your site to give you the tools and information necessary for a more successful landscape. See our Landscape Design page for more details and pricing.